Pita bread, sometimes called Arabic bread, is a soft, lightly leavened flatbread that's hugely popular in Middle Eastern cuisine. The fun part of it is that, because it's baked a very high temperature, the dough puffs up and separates during cooking, naturally creating a pocket. Slice the pita round in half and you have two instant pockets ready to be filled with all manners of sandwich fixings. Likewise, you can just fold the whole pita in half, the way you would with naan bread, to create a sturdier sandwich, depending on your fillings. Perfectly portable and open for endless culinary creativity, what you stuff your pita with is only limited by your imagination. Here are ten terrific ideas to get you started. Enjoy! Pita bread's best known stuffing is the classic falafel (fried chickpea balls). Typically paired with an Israeli salad of diced tomatoes, diced cucumbers and sliced onions, the whole sandwich is drizzled with tahini sauce. Perfect for lunch or a light dinner. Almost as popular as a falafel stuffed pita, the sabich is a Middle Eastern sandwich with fried eggplant, hard boiled egg, hummus, tahini, Israeli salad (diced tomatoes, diced cucumbers and sliced onions) and a sweet and spicy mango sauce called amba. It's a lot of different flavors that all go perfectly together. Shawarma sandwiches are the ultimate Middle Eastern on-the-go meal and they can be made with chicken, beef, lamb or even vegetarian. But the classic chicken calls for thinly sliced meat wrapped in pita bread with veggies, seasoning and sauce. Grilled chicken makes a great sandwich no matter how it's served. 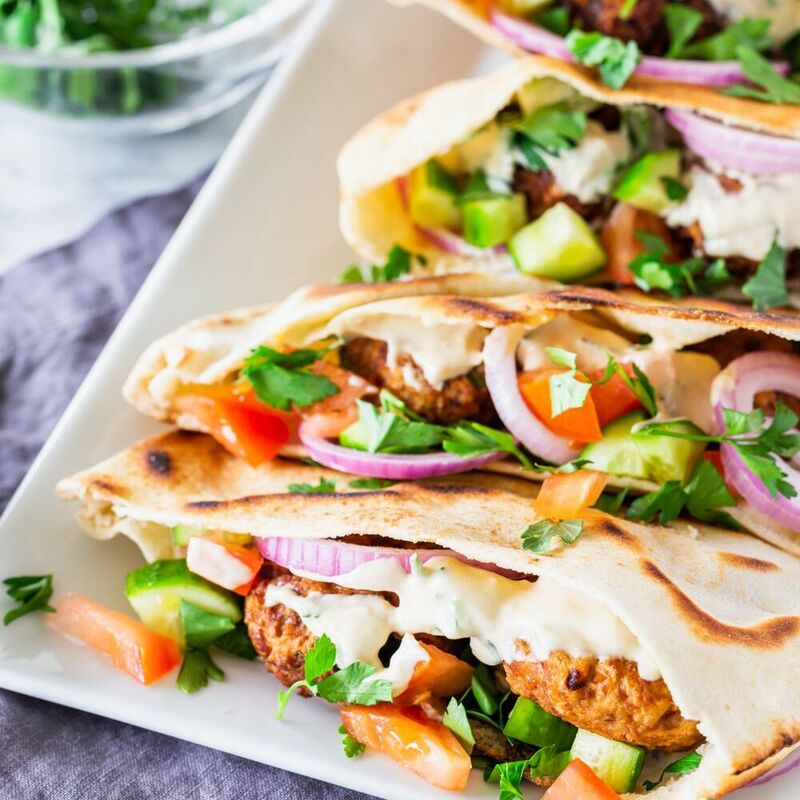 But stuff it into a pita along with some lettuce, spinach leaves or a few grilled vegetables and top it with your favorite Middle Eastern sauce for the perfect taste. Move over burrito bowls because the pita bowl is here. Crisp vegetables like fresh baby spinach leaves, tomatoes, cucumbers and red onion are combined with roasted chickpeas and a tahini dressing, then served in a baked pita bowl. Lunch heaven and healthy as well. We all love breakfast wraps for their ability to keep us on the go. But instead of heavy ingredients that will weigh down your morning, try keeping it light and refreshing with a toasted pita slathered with yogurt, tomatoes and za'atar. Top with fried eggs for protein and start your day off deliciously. We love a pita stuffed with falafel, but why not give the recipe some new life with extra crispy falafel balls made with chickpeas and walnuts? Served in a pita with the regular assortment of vegetables but a little extra zing from pickled onions. This is a great alternative to jazz up your lunch box. We're crazy about tacos in all their forms. 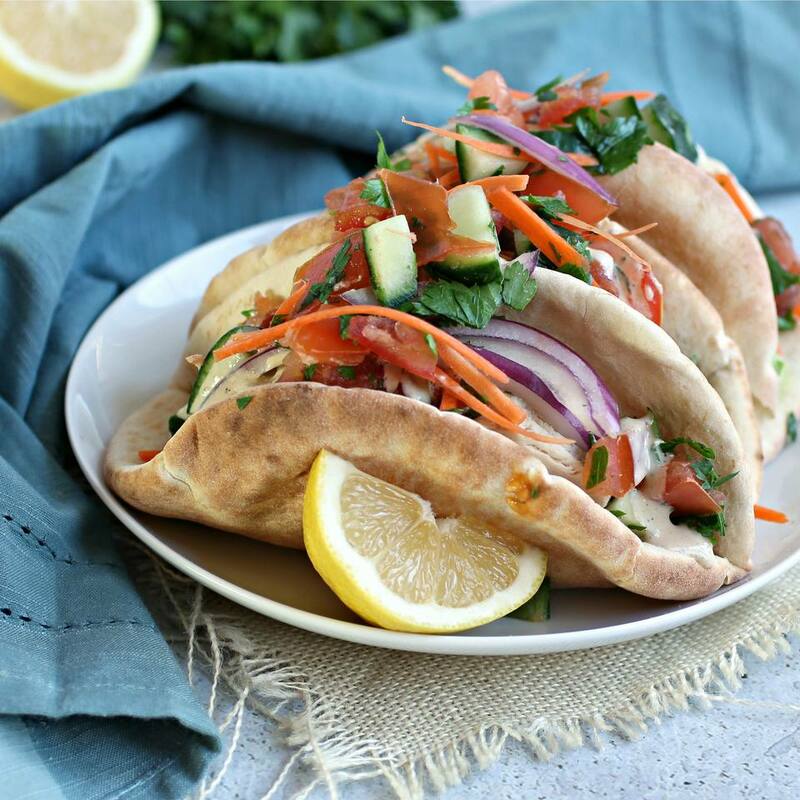 But give your next taco Tuesday an update by substituting wonderful soft pita bread, stuffed with grilled chicken, vegetables and Middle Eastern spices and sauces. With cooler weather, we love a warm sandwich, especially when it involves roasted butternut squash. This sweet autumn veg makes a great compliment to the traditional falafel and tahini sauce. Is the best part of Thanksgiving food the meal itself or the leftovers?Well, both of course but those leftovers are definitely important. Give the post Thanksgiving day leftovers sandwich a fresh twist with pita bread and a delectable cranberry pomegranate sauce. You'll be tempted to make the meal all over again just to have this sandwich.